Poly Blogging Platform - CODELISTPRO | Free Premium Scripts, Plugins, Apps Source Code. Poly is a multi-use web based software, especially designed to build user-friendly useful to modify blogs and websites. 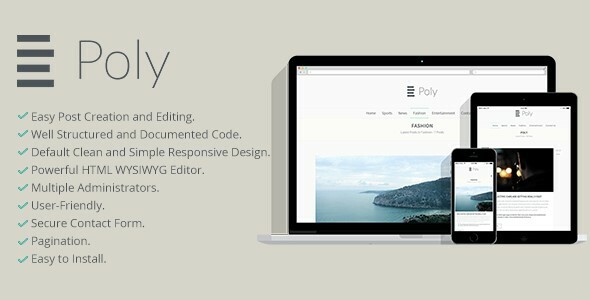 Poly is a platform for those specialised in blogging and web design, and provides them with simplified and flexible interface, search engine optimisation, easy publishing, installation and upgrades, various publishing tools, easy theme selection, straightforward user management, data ownership and full standards compliance. The software offers multifunctions at a very cheap price, and can also be used as a base for other app developers interested in customisation and further code development.